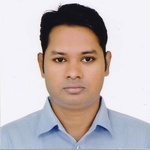 I'm Abul Hahsem is a professional and expert in Data Entry, Typing, File Conversion, PDF to Word. I will provide your material accurately and quickly. I would like to look for a logn term business relationship by giving my best. Please discuss and contact with me before purchasing hourly on peopleperhour. 1. Data entry from PDF to Word or Excel. 2. Data entry from Image to Word or Excel. 4. Image to Word or Excel data conversion. Sample of document of your work, your instruction and system.